A short summary of my experience in Mexico. Let me start of by thanking Magnus Karlsteen and Dag Hanstorp for this opportunity! I am very lucky to have been one of the few students to go to Mexico to study. During my months there I really didn’t see a lot of exchange students at campus.To be honest, the chance of meeting a european student is pretty low just considering the sheer size of the campus. 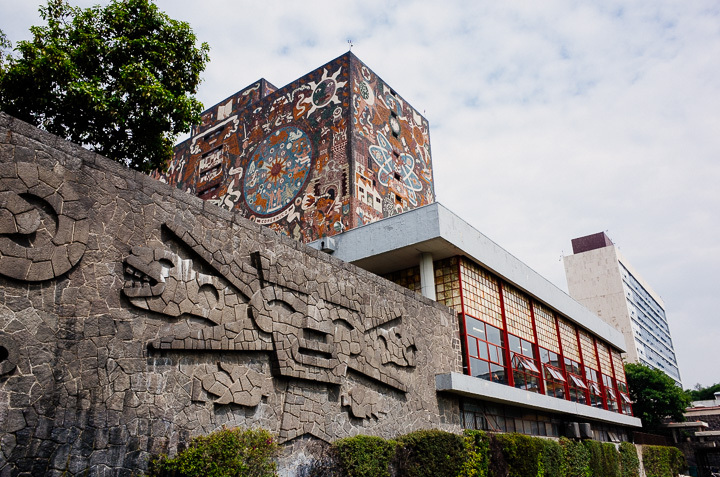 UNAM’s campus in DF (Distrito federal, what we call Mexico City) has more than 300.000 students, almost 40.000 professors and nine different bus lines on campus. I was extremely lucky to get an apartment close to campus, just 20 min walking distance from school. Normally people spend an hour or more to get to school, and these guys still live within the city center! Getting around in this huge city is pretty easy, theres tons of small buses, big buses and metro lines all over the place. They’re all fast, cheap (2-3 SEK per ride) and pretty reliable, the only downside is that it can be pretty cramped. You have maybe seen a clip from Japans metro where they have special ushers to squeeze people in? During rush hours this is pretty much exactly how it is in Mexico City too, only people squeeze themselves in. Getting around in the evening is a breeze too, stay away from the metro and shady taxies and get an Uber instead. I found it to be extremely easy and safe to use to get around. I would suggest you learn some Spanish before you leave for Mexico! I would suggest looking into websites like fluencia.com, duolingo.com and the podcast «coffebreak Spanish». There’s also intensive Spanish courses at UNAM, a great place to learn Spanish and meet other international students. Properly preparing your Spanish will make life a lot easier while you’re there! Traveling from one side of the globe to the other there’s bound to be cultural differences, both in personal life and professionally. Simply put; Mexicans have latin hearts and are the friendliest people I’ve ever met. I don’t think that I during my semester there spent more than a few hours alone! One big difference (a part from long working hours and the long lunches), was the power distance. Geert Hofstede, a pioneer in cross-cultural groups and organizations, has an interesting theory on cultural dimensions that can help us understand the difference between two cultures. Comparing Sweden with Mexico is quite interesting. The first three items are particularly useful to gain an understanding of the everyday differences in the two societies. Lets start with power distance; Sweden gets a very low score compared to Mexico. To quote Hofstede’s own explanation of this «Sweden scores low on this dimension (score of 31) which means that the following characterises the Swedish style: Being independent, hierarchy for convenience only, equal rights, superiors accessible, coaching leader, management facilitates and empowers». This is in sharp contrast to the Mexican society, «At a score of 81, Mexico is a hierarchical society. This means that people accept a hierarchical order in which everybody has a place and which needs no further justification. Hierarchy in an organization is seen as reflecting inherent inequalities, centralization is popular, subordinates expect to be told what to do and the ideal boss is a benevolent autocrat». Im not going to elaborate all the different cultural dimensions, if you want to know more about it then a short read at Hofstede’s website will give a brief summary of the comparison between the two societies. Shortly put, I have had an amazing time in Mexico, and if you have the chance to go do it! Henrik and I have been here for our first month in beautiful Mexico. We’ve Settled in nicely and we have both found a nice place to live which is only a few minutes walk away from the University. 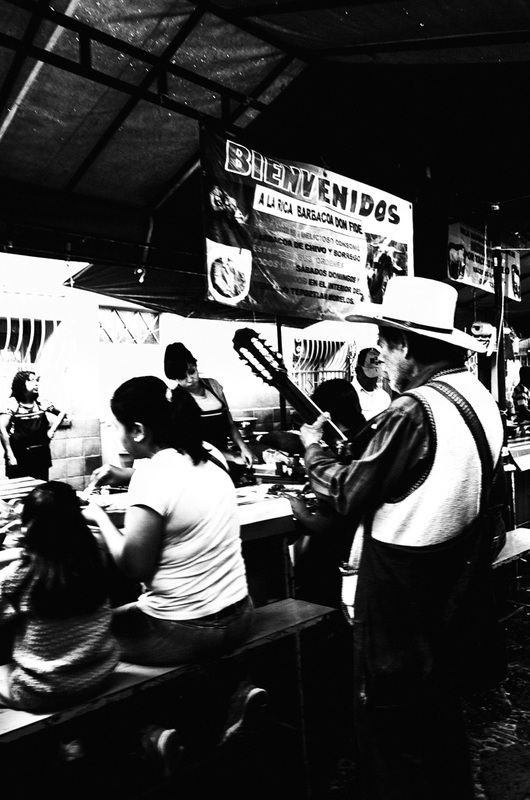 We just got back from a weekend in Mexico City. It’s an amazing city, very nice contrast to the smaller idyllic places close to cuernavaca we’ve visited so far, like Taxco and Tepoztlan. Believe it or not, besides travelling and meeting new people, I’ve also studied! I’ve spent my first month learning how to use the equipment necessary for my experiment and I’ve simultaneously been learning all the helpful theory I need. 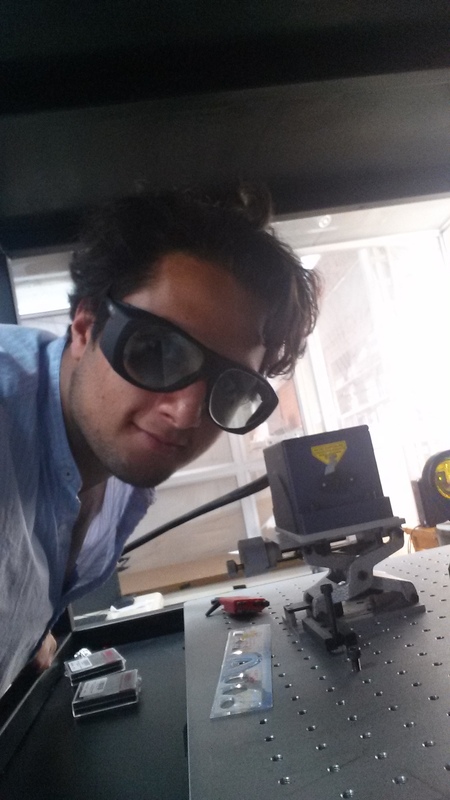 I work with a Quantum Cascade Laser and I am currently trying to get a perfectly collimated beam, which is harder than it sounds! Our sweatiest moment so far, walking up to the top if a mountain in Tepoztlan. There is an old temple on the top and you have this amazing view. 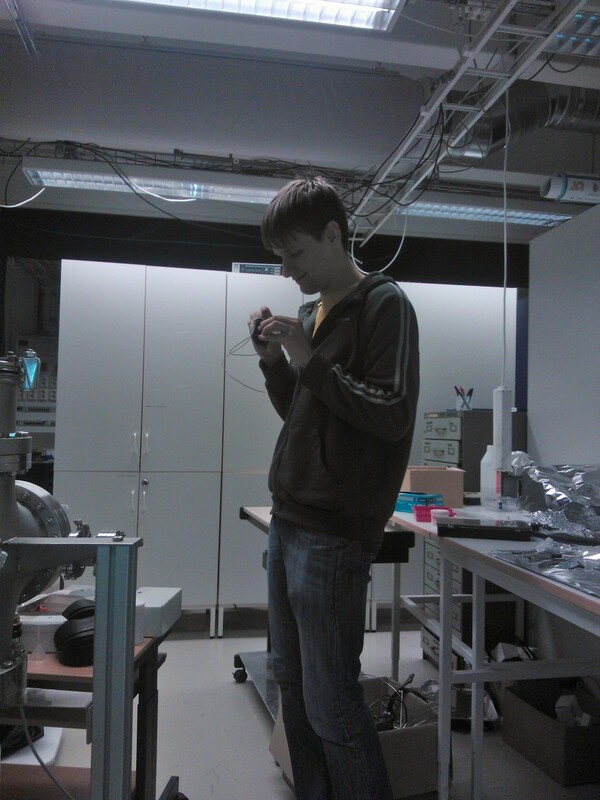 Excuse Henriks arm..
We have two weeks implementing the system for the droplet dispenser for the optical levitation project, a lot of coffee, hours in the labs and mess as you could see. Is for everybody known the life’s level in Sweden, so well, the sports are one of this wonderful things, I was looking for a team to practice sport, and Henrik recommended me to ask if there was a team in the department, and I did it. 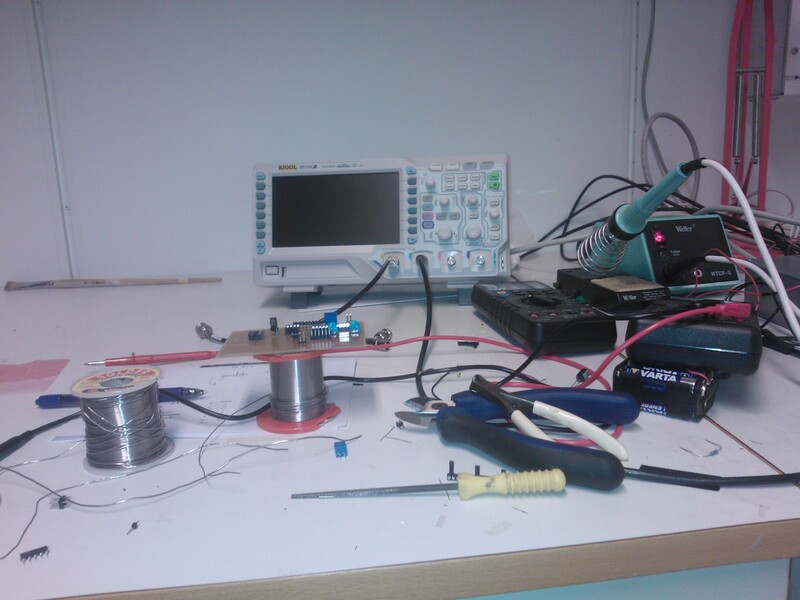 The first time I went with Jan-Äke, the mechanics master of the department, (If you planning build something I’m sure you will know him), he told me that the Department pays one sport hour to the employees. 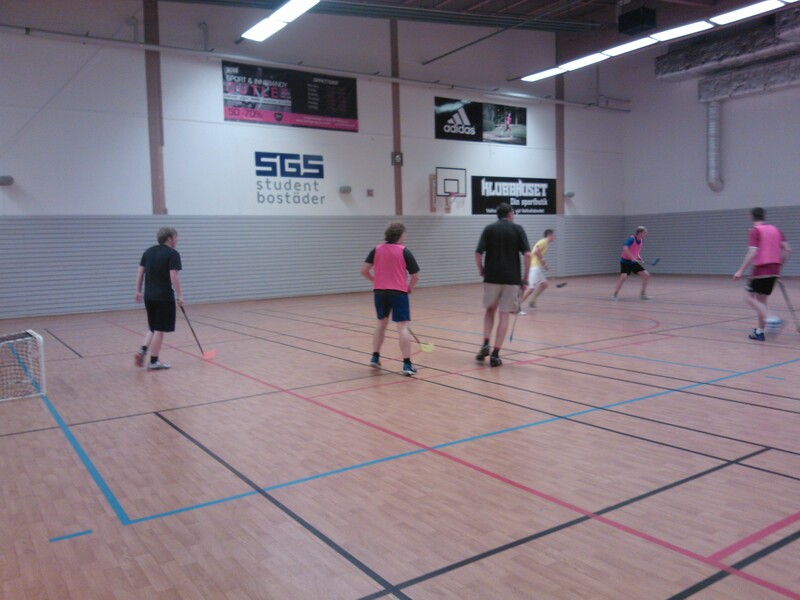 The floorball is a very common swedish game like we “echamos la reta” in Mexico, is like the hockey but the indoor version, and you only need a stick, that’s all! So, this was my second time and I invoked the Beginner’s luck card and I scored two times today. 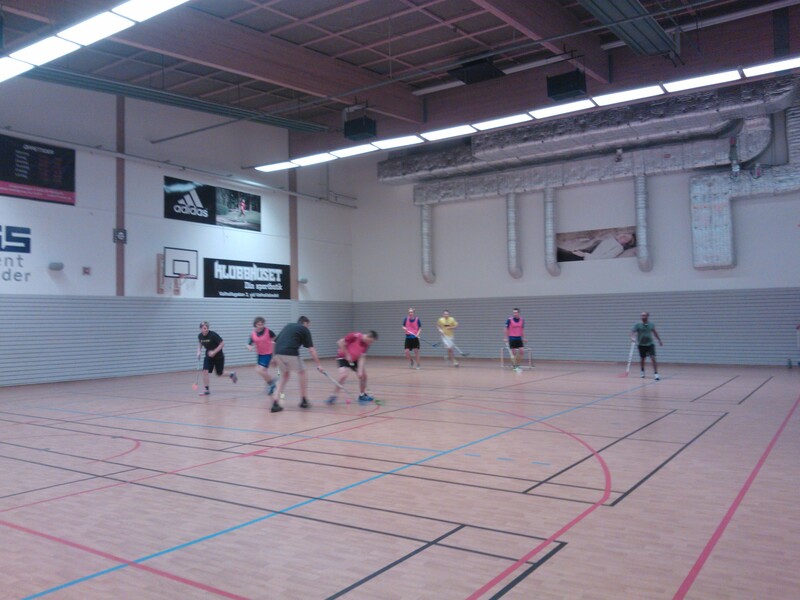 I left a couple images, if you are in Sweden in almost an obligation to practice floorball. Ok, I must post more often, I accept that. 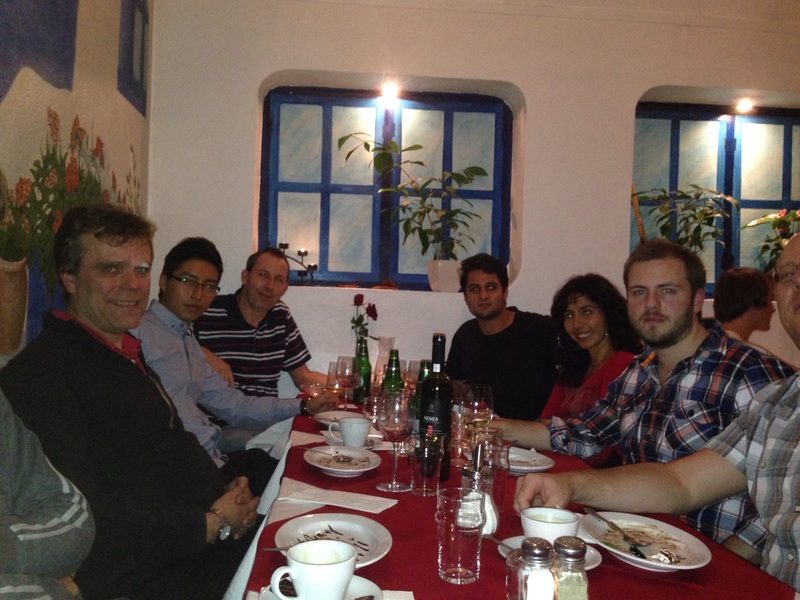 Well, the last week we had a dinner to talk about the program, the mexican and swedish students, and the professors involved in the program. It was a very nice opportunity to met better all the people which is part of the program. We talk about the aims of this project and the expectations for the next years, and a brief culture exchange, like the importance in Mexico to ask “Pica o no pica”, hahaha, mexican people will understand. 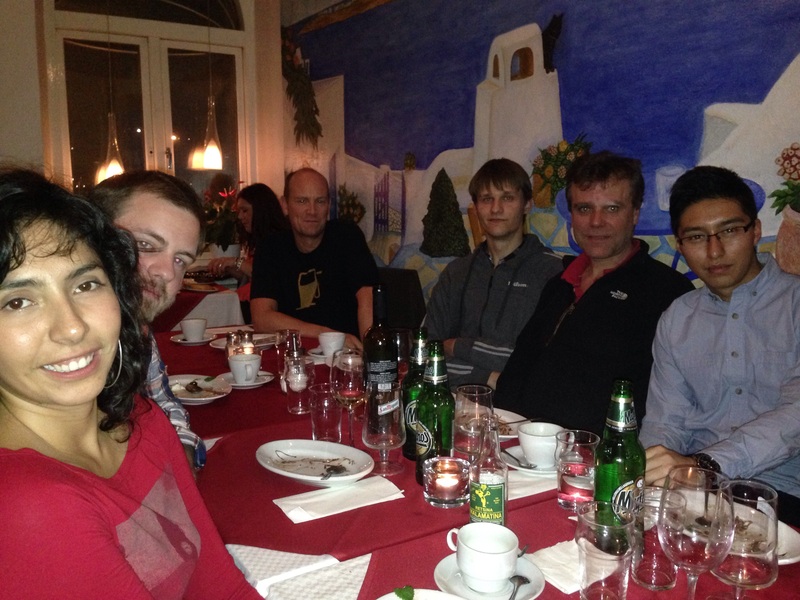 It was a really nice dinner. The swedish people will be going to Cuernavaca, at the beginning of the next semester. And Iván will be here at the same date, more less. Just a small note to anyone that is coming here, it is colder than you think! When I was packing before I left for Mexico I was like “Mexico, should be hot there right?”. Wrong! 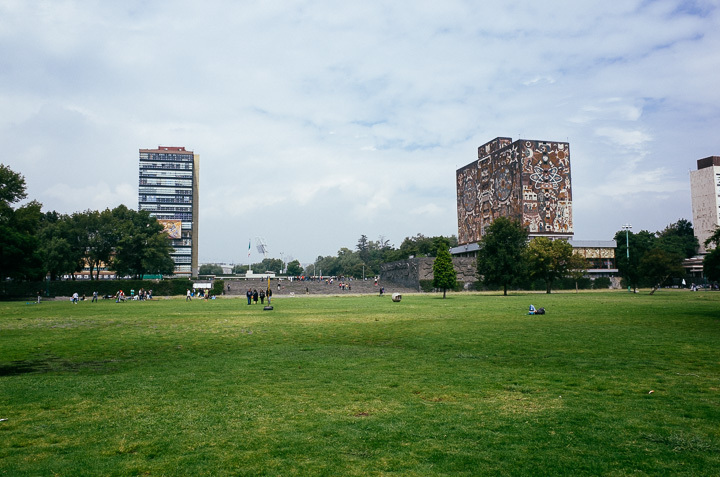 During a day in Distrito Federal (or Mexico City as we call it back home), you will normally experience 3 seasons. During the night and in the morning it is pretty cold, and then at noon it starts getting hot (20-25 degrees), then during aug-oct it has been raining a couple of hours every day. So if you think you’ll escape the rain from Gothenburg, that is not going to happen! So remember warm and weatherproof clothes! Gothenburg, nice to be here. First, let me introduce myself, I’m Isra, a mexican student, working in a project in Gothenburg, specifically at GUNILLA with Dag Hanstorp. 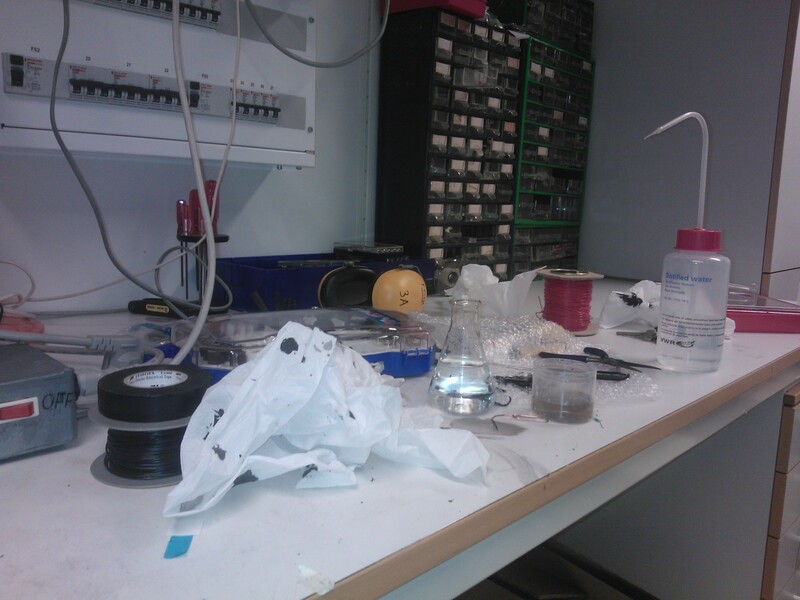 I apologize to write this post until now, I have a month living here, but I was adjusting some things, between the housing stuff and creating a plan for my tasks in the lab. Gothenburg is a wonderful city, beautiful views, and almost all works perfectly, like a clock. But we can leave the tourist thing for the next post, the mean idea of this post is give a couple advices for the next mexican exchange students (before I forget), and to do practical the thing I’ll put in a bullet list of how were the first days since I arrived. Arrange a bank account. Unfortunately the money is one of the most important things. So, we need a swedish bank account to get the scholarship, to me was a little trouble, when you go to a branch office in the center of Gothenburg, they ask you 1k crowns to open your account, and documents like your rental contract, but in otherwise if you go to a small office of the same bank you only need your address and your passport (I know, is crazy) and that’s all, you can arrange your bank account. And I was forgetting the bank’s name: SEB bank. Arrange your ID’s. That is for get your student ID, in which you can access to the network of Chalmers, that’s important if want to have access to the Wi-fi. Is very easy, I love it, it take me only 15 minutes to do that. Get a transport card. The public transport works with a private company (I guess) and you need the card for the buses and trams interconnected along the city. Is cheap I think, like 400 crowns per month, and you can get one until for a year. The place to get the card is in a 7-eleven or a Presbyran, that is like a Oxxo in Mexico, one each corner. 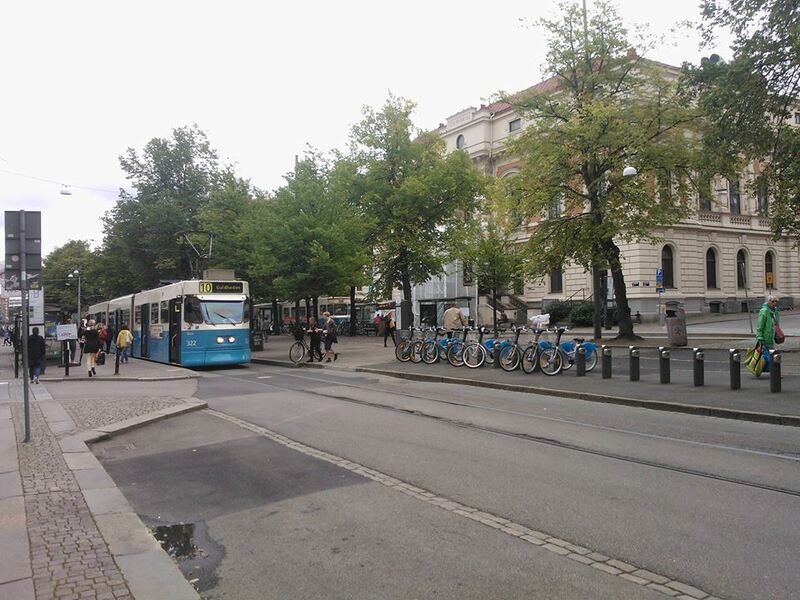 Well, that’s all for the first post, I hope this information could be useful in a future, and I left you a nice picture, with the 10 tram, which I use to go to the university. I’ll upload more pictures later. It has been a while since I posted anything here! My stomach hasn’t had the best time adjusting, so it has been a slow couple of weeks. But luckily everyone around here is superhelpful and very friendly! Last week I got invited to a nice little town outside of DF to recharge. Tepoztlan is a short ride from DF over the mountains and close to volcanoes! I spent the week eating good food and sleeping as much as I could, and it was definitely a good idea. Here’s a snapshot from the market. It really beats going to the super market! 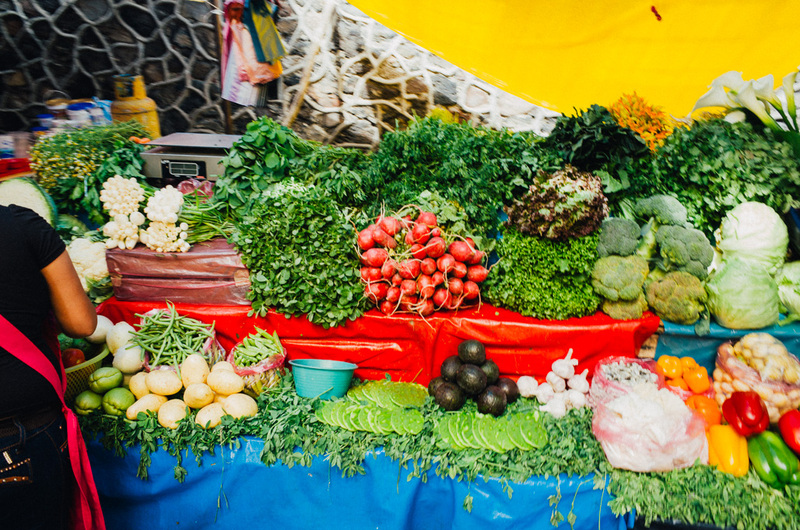 You get really fresh and short traveled food at the market, just remember to bring bags or baskets. This is from the market as well, this was from the food section. There are benches making up a square and then the cook(s) are inside the square. You get to watch up close when they make it, which is really cool! Each year on the night of September 15 at around eleven in the evening, the President of Mexico rings the bell of the National Palace in Mexico City. After the ringing of the bell, he repeats a shout of patriotism (a Grito Mexicano) based upon the “Grito de Dolores”, with the names of the important heroes of the Mexican War of Independence who were there on that very historical moment included, and ending with the threefold shout of ¡Viva México! from the balcony of the palace to the assembled crowd in thePlaza de la Constitución, or Zócalo, one of the largest public plazas in the world. 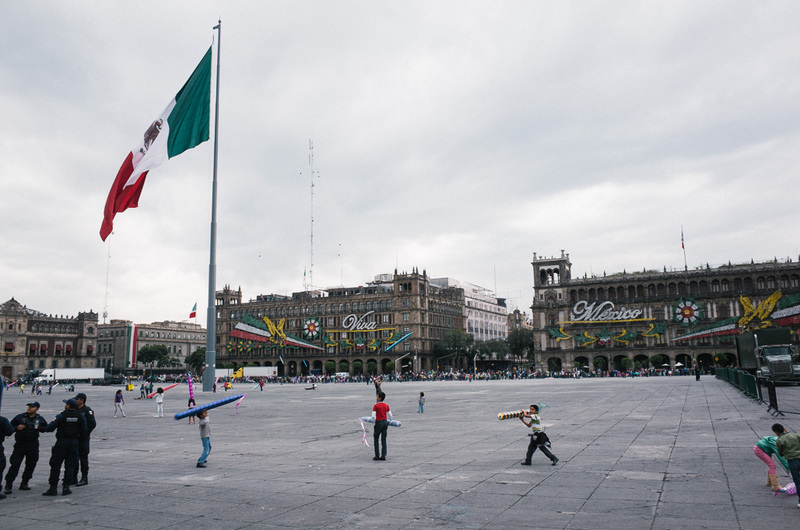 After the shouting, he rings the bell again and waves the Flag of Mexico to the applause of the crowd, and is followed by the playing and mass singing of the Himno Nacional Mexicano, the national anthem, with a military band from the Mexican Armed Forces playing. This event draws up to half a million spectators from all over Mexico and tourists worldwide. On the morning of September 16, or Independence Day, the national military parade (the September 16 military parade) in honor of the holiday starts in the Zócalo and its outskirts, passes the Hidalgo Memorial and ends on the Paseo de la Reforma, Mexico City’s main boulevard, passing the El Ángel memorial column and other places along the way. The following day the Mexican military had a huge parade to show their strength and vehicles! Lucky me got to see the whole thing from above thanks to a really nice friend of mine! This is the Zocalo, or at least a part of it. It is huge! The police was frustrated because the square was sealed off, but somehow the kids managed to get inside. They weren’t sure about what to do about it. 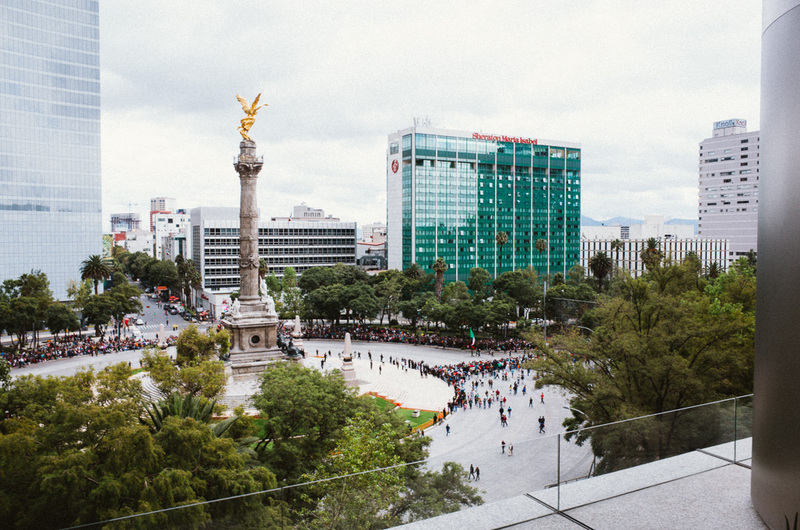 This is from Paseo de la Reforma, the statue in the middle there is called El Ángel de la Independencia! So now I’ve been here a week, and here’s a quick recap! First of all, Moctezumas revenge is real. Getting some drinkable vaccines and being really smart about hygiene should help you minimize the risk! This week I’ve gotten a place to stay (thanks to Antonio, head of this exchange program in Mexico). I’ve seen the campus, which is huge, and gotten to meet Prof. Dr. Ruben Avila whom I will be working with. When I wrote huge I meant huge, UNAM has more than 300.000 students and also has its own bus system! This week I’ll be starting with my language classes, looking forward to learn! Here’s a few snaps I took from a tour of the campus with Antonio. Over and out for this week! So after my flight got delayed, I was given a hotel room at Heathrow and they booked me on a direct flight to Mexico City the day after! I arrived in the evening, and after some broken spanish, made my way to the apartment. Today I’ve gotten my Mexican simcard and I have been grocery shopping! I was going to post a picture of Mexico City from the air, but after staying awake the whole flight I fell asleep 20 minutes before landing and therefore missed the whole thing! 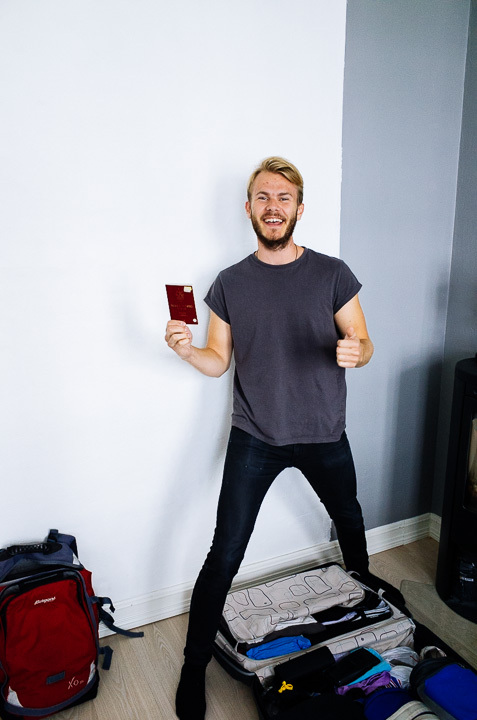 Let me introduce myself: I am Kristian, a norwegian student studying engineering at Chalmers in Gothenburg and now going to Mexico to write my MsC. thesis in computational fluid dynamics. Now Im packed and ready to go! Now I got a 20h fun flight with weird layover routes, looking forward to it! See you in Mexico!